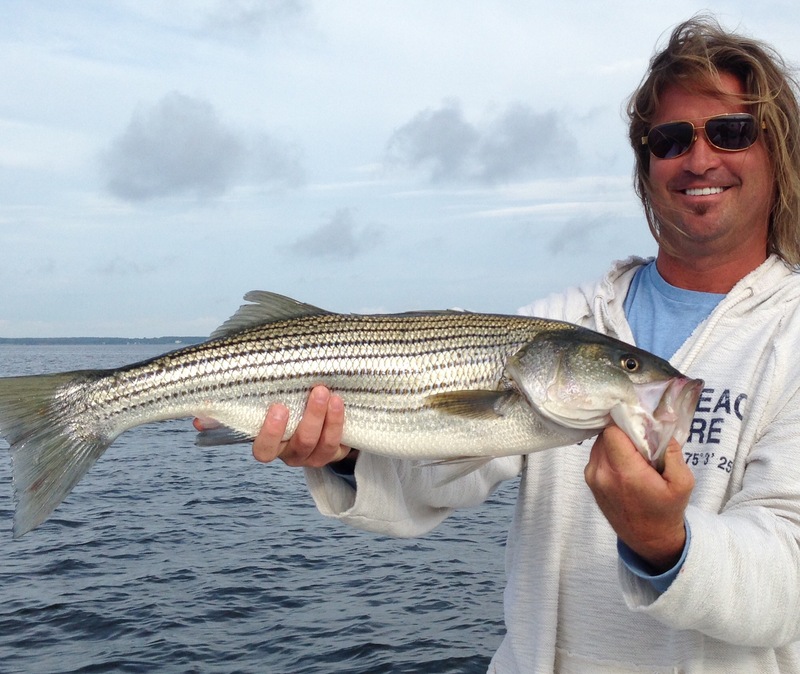 Striper fishing continues to be real good. 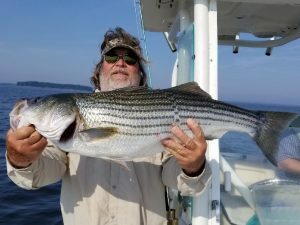 When conditions are right the shallow water bite has been great. 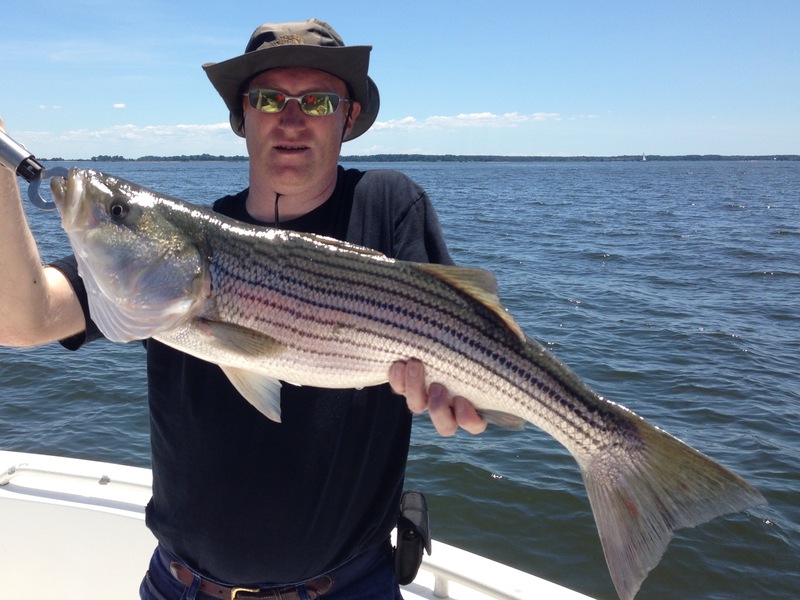 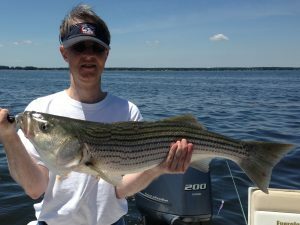 Striped bass up to 30 inches have been smashing topwater plugs. Jigging soft plastics has produced some bigger fish also. Fly fishing with sinking lines is catching the same size rockfish.